Last edited by AfterShok; 04-16-2019 at 01:39 PM. Do the tune... First. It will be a lot more fun to drive. I don't doubt it haha I have enjoyed it thus far however now I find that I am traveling at the speed limits and not wanting to take it to the track. However once I install these new parts who knows what that'll do to my performance craving! Unless you have to have coils, go with yyz's you can thank me for the great handling and good ride later. And it's cheaper. Get Powell's rear control arm bushings and a rotated trans mount, and have fun. I've had mine for almost 7 years now and it's been solid. Almost at 100k miles. Clean the intake valves and get a rotated trans mount. Those will make driving better no matter how you use the car. Nice what exactly is the mount useful for? I have seen people say they've got it but I will have to read up on it. It properly aligns the drivetrain unlike the factory mount, and cuts down on wheel hop. It rotates everything rearward as I recall. It stops wheel hop, where in ON are ya? Sounds goos fellas ill make sure to check it out! Have I seen you at any Queenston and Nash meets on Sunday nights? iv had mine since the end of 2008 when I bought it new. Nice and how has yours been? got mine May of 2009. Cars in real good shape, it did have a few fender benders but no permanent damage. paints pretty good for 10 years, garage kept, no fading and clearcoat wear. There is 1 tiny door ding thats almost invisible. The front bumper of course has its share of rock chips, hood too. Original motor (LNF), original trans and clutch, original turbo. Everything runs normal. I am just past 107,000 miles now and 10 years old come next month. I bought my '07 SS/SC in 2013 with 55,000 miles on the odometer. It had a lot of front end/brake/engine issues, but, after getting it working right, it's been fantastic as a daily driver. I've only had it to the track once not long after I bought it (since I can't afford to have my daily driver go down), but I was able to get her to a 14.4 @ 97 in stock trim, even with a partially blown head gasket and the worn out front end so squirrely I had to ride it like a bucking bronco to keep traction on every launch — thankfully it doesn't do that any more, but I haven't had it back to the track since all of the repairs were made. Maybe some time in the future. I bought mine new in 2010. Daylied it until the fall of 2012 when I spun my bearings at the road track on stock everything, FB, e85 (359/418). Upgraded to forged internals, ZFR6758 and CM Stage 4 clutch in 2013. Car made 479/471. Blew 3rd gear at the road track on the ZFR that same year. Upgraded to a Powell built 4.45 cryo treated F35 in 2014. Built the head (new internals, stage 3 cams, 82# springs, ported head & intake, 2.4 TB, balance shaft delete, Opels, 5th injector) in late 2015. Installed a front mount oil cooler in 2016. Had my ZFR oil feed line fail at the track in the fall of 2016, causing the engine to seize. Upgraded to a new LDK in 2017, transferred all internals and built head. Installed a front mount trans cooler in 2018. Despite the money pit she has been, I still love Luci and will never get rid of her. It is such a fun car to drive, pretty timeless design, and I've learned a lot tinkering around when I had no car mechanic-ing experience prior. 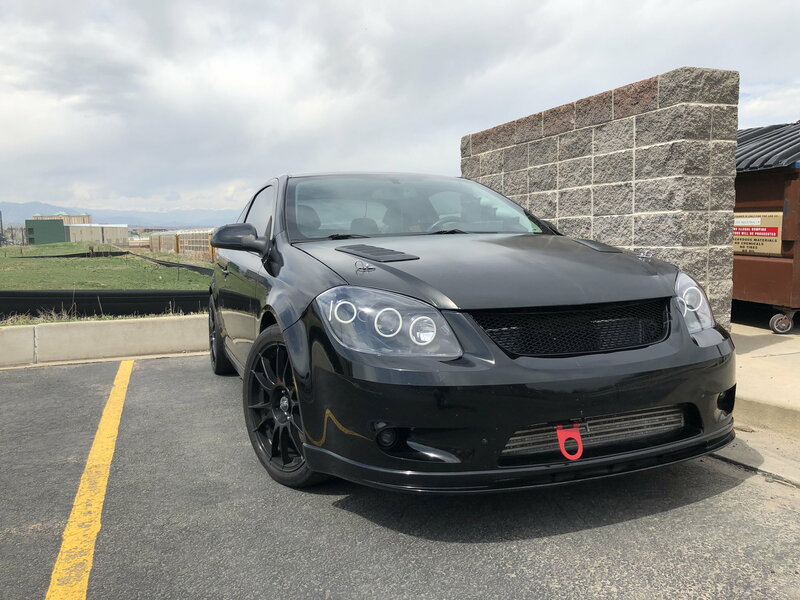 Currently doing some aesthetic mods along with some weight reduction (one-of-a-kind carbon hood and trunk, splitter and brakes ducts) while working my overheating issues (hood vents, maybe a custom radiator it needed). Besides parts upgrades and replacements due to engine failure, the only OEM parts I've had to replace on this car in 9 years because they were bad/worn were the battery and the rear twisting beam bushings. Currently at ~46K miles. Do you know why it spun the bearings? Was it low on oil or something? I would love to wreck some streets with your ride colo. Damn awesome. Quick Reply: 2011-2019 Still going STRONG!